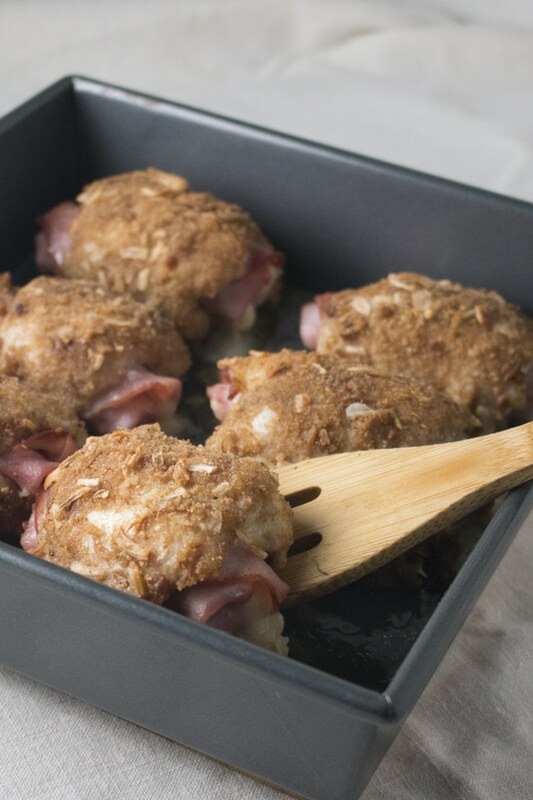 Easy Chicken Cordon Bleu | Pinch me, I'm eating! 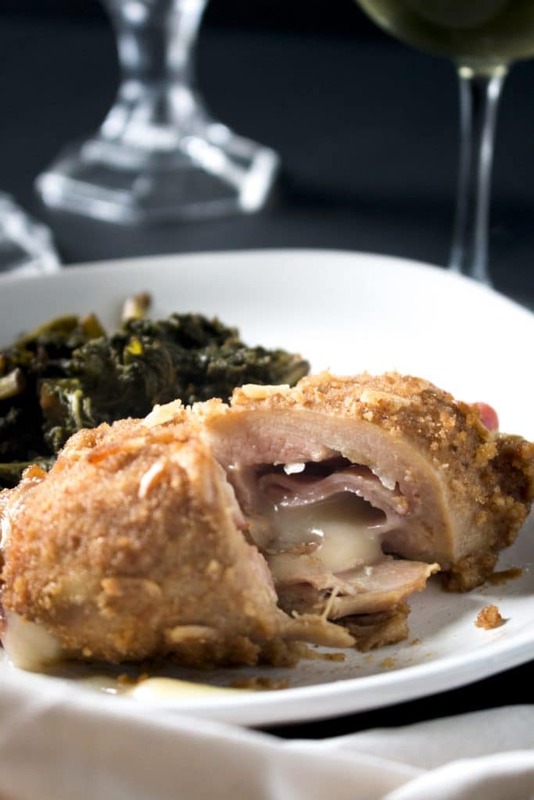 With ham, swiss, and a flavorful breading, this easy chicken cordon bleu is simple enough to make on a weeknight and fancy enough for Valentine’s Day! I just wanted to enjoy my cute festive door hanger for more than a week and a half so I took down the ornaments and sparkly trees and pine garlands today. But more than the decorations, I’m excited because a) I love my husband tremendously and I get to buy him a heart full of chocolates, and b) I get an excuse to make gourmet romantic meals. Normally it would be ONE gourmet romantic meal, but I’m a blogger now, so that’s my excuse to make multiple fancy dinners and desserts — so I can share them with YOU! Also, we happen to have a gig playing music on the Saturday of Valentine’s weekend, for a special multi-course dinner at a cute little restaurant owned by a couple we adore, so we have to do our own Valentine’s day celebration on a different day. Like today. And every other day this week, basically, since I have lots of fancy romantic food ideas for you all. Did you notice I totally skipped Superbowl food and went straight to schmancy romantic Valentine’s day food? That’s just the kinda gal I am. Although, Superbowl food is kind of amazing, and we had a Superbowl party at my house every year when I was in middle and high school — mainly for the food, commercials, and people, since I don’t really care a whit for football. So, is that next weekend? Okay, I promise I’ll give you some Superbowl snack recipes next year. 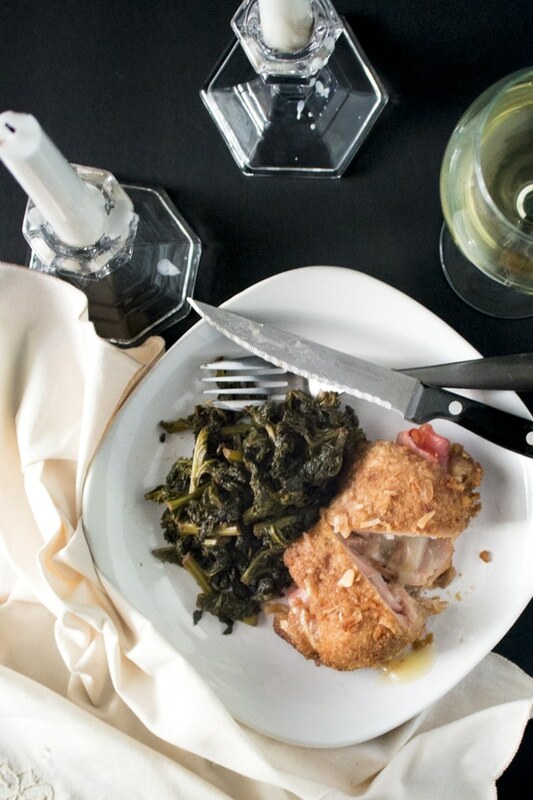 Anyway, I know you want to hear about the chicken cordon bleu you saw in the photos up top. And I want to tell you more about it because I’ve been making this for years and it’s so awesome. 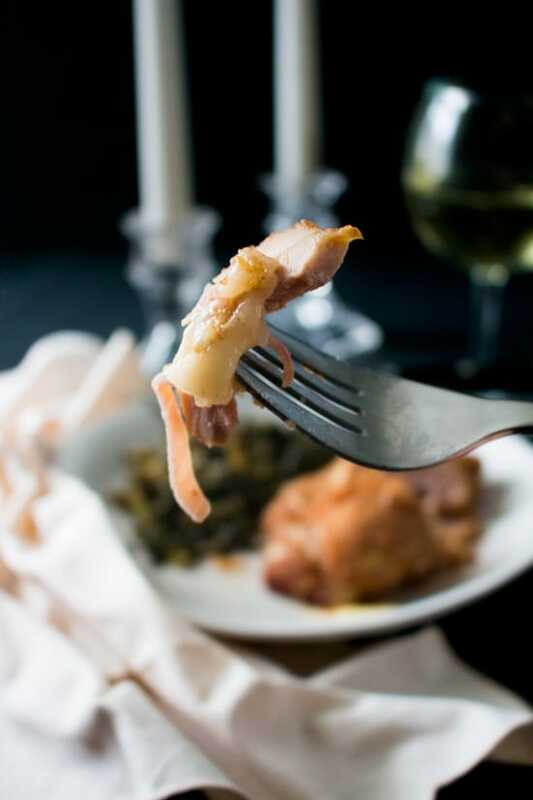 The dish is elegant but easy, flavorful and juicy, and oozing with melty cheese. 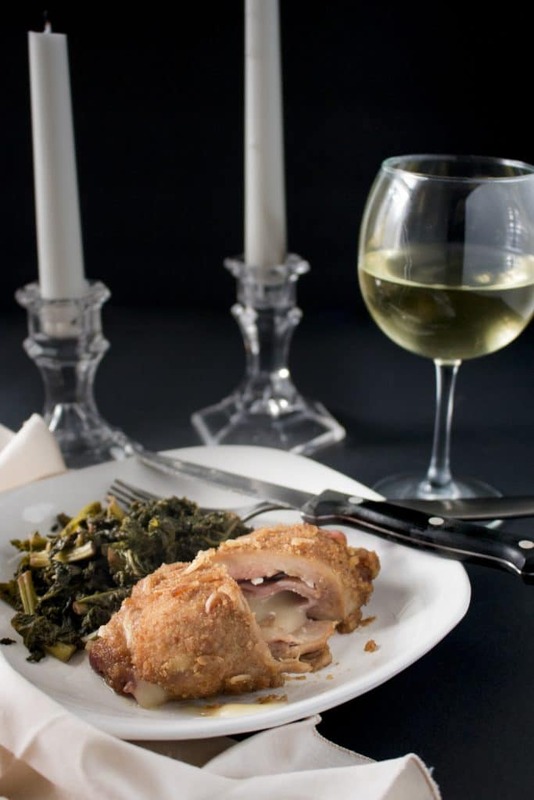 Best of all, you can prepare it a day in advance so that on Valentine’s Day itself (or whenever you’re enjoying a romantic evening at home with your loved one) you can just pop it in the oven and sip a glass of wine with your honey lamb while it bakes instead of messing with raw chicken and other slimy things. Chicken hands are not the best for hugs and cuddles. It doesn’t take long to prep either, maybe 15 minutes or so. It does bake for 45 minutes, so you have some time to enjoy some fancy crostini or something while it works its magic in the oven. Basically, you take your slices of ham and cheese (I used smoked ham and regular deli swiss cheese here, but you could fancy it up some more with some smoked gouda or something) and roll them into sort of a cheese burrito, but with a piece of ham instead of a tortilla. Same technique though, folding over the ends and then rolling it up to seal in the swiss cheese. This helps keep all the cheese from melting out into your pan while you bake the chicken. 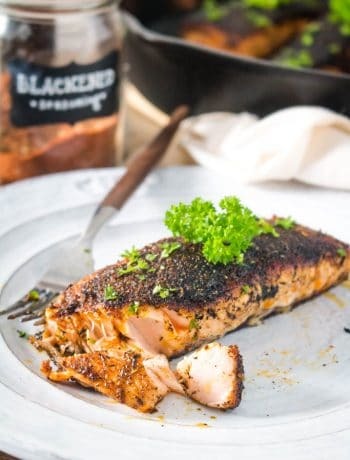 Then you dip your chicken (I use boneless skinless chicken thighs) in mayonnaise and seasoned bread crumbs, on one side only (the smooth side). If you’ve never tried it, it may seem odd to dip the chicken in mayo instead of beaten egg before breading it, but I tell you what, it makes this chicken SO juicy! It’s basically egg anyway, just emulsified. So it’s the same general concept. The addition of dry onion soup mix to the breadcrumbs adds an amazing flavor to the chicken and really complements the ham and cheese. 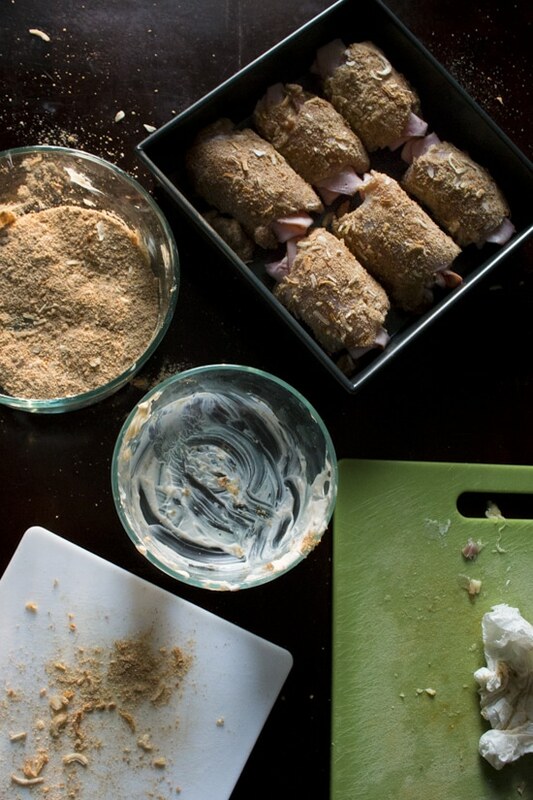 Roll the ham/cheese rollups in the chicken, and place seam-side down in your baking pan. No toothpicks necessary; once it’s cooked it holds its shape enough that you don’t need them. You can bake it right away or put it in the fridge and bake it the next day. Serve it up and enjoy! I can’t even tell you how amazing and juicy these are! Flavorful, easy, and delicious is a good combination in my book. 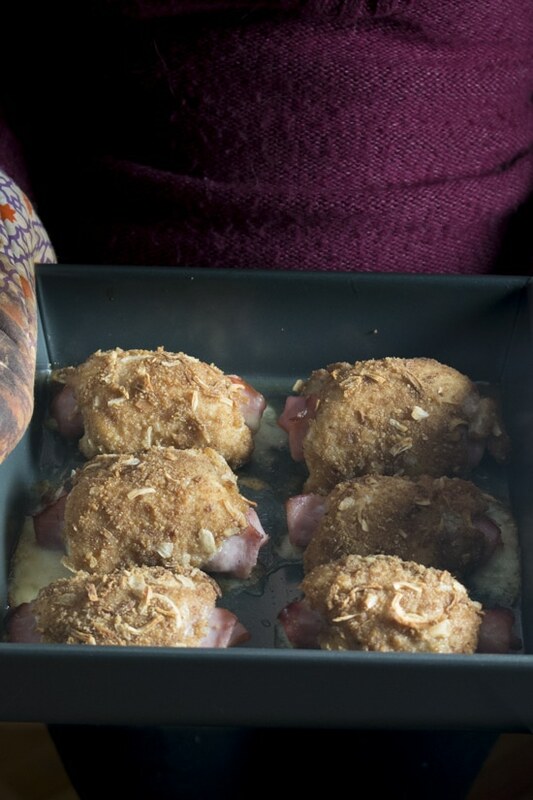 It’s an easy chicken cordon bleu recipe that’s simple enough for a weeknight and fancy enough for Valentine’s day. Win-win! I would typically serve this with some roasted asparagus or brussels sprouts, a side salad, and a glass of white wine. Yum! For more romantic recipe ideas, follow my Valentine’s Day menu board on Pinterest! You can also sign up for my brand new email newsletter here to get my new posts delivered right to your inbox! 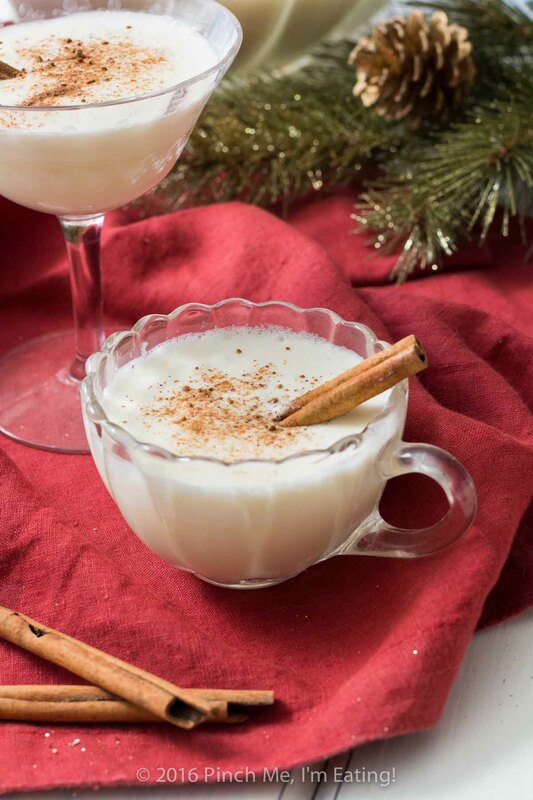 I have some romantic meals, desserts, and appetizers coming up in the next couple weeks so there will be plenty of mouthwatering ideas for you! 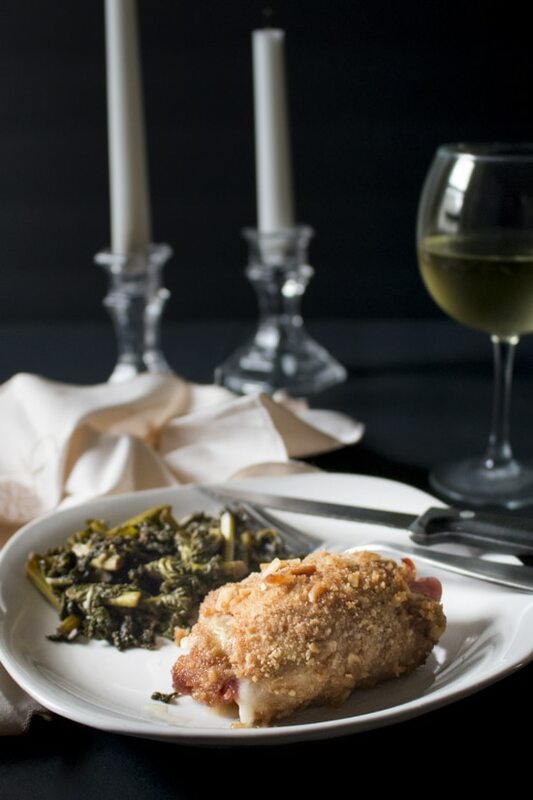 With ham, swiss, and a flavorful breading, this easy chicken cordon bleu is simple enough to make on a weeknight and fancy enough for a romantic Valentine's Day dinner! You can even make ahead of time and bake the day of. It's so juicy and flavorful! 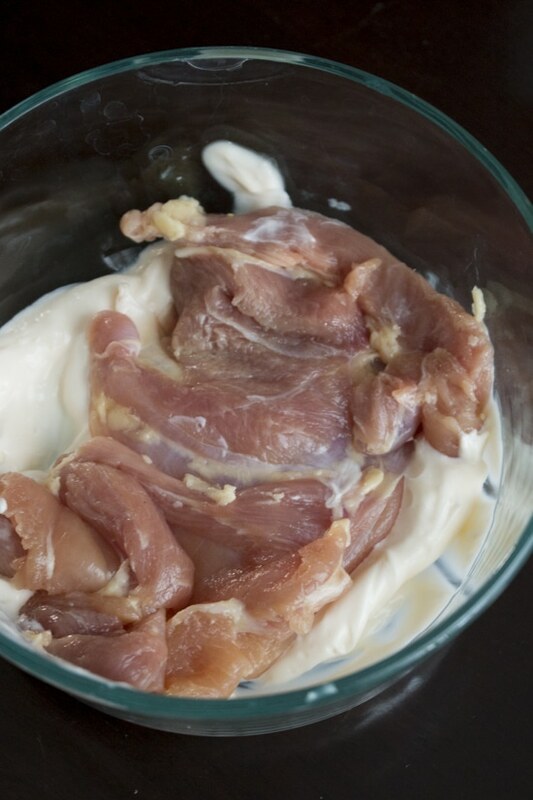 Cut off large pieces of fat from chicken thighs. Fold each slice of swiss cheese accordion-style to make a cheese stick about half an inch wide. Place a cheese stick on a piece of ham long-ways. Fold ends of ham over ends of cheese stick and roll up like a burrito. Repeat with remaining slices to make six ham and cheese rolls. This keeps the cheese from melting out while baking. 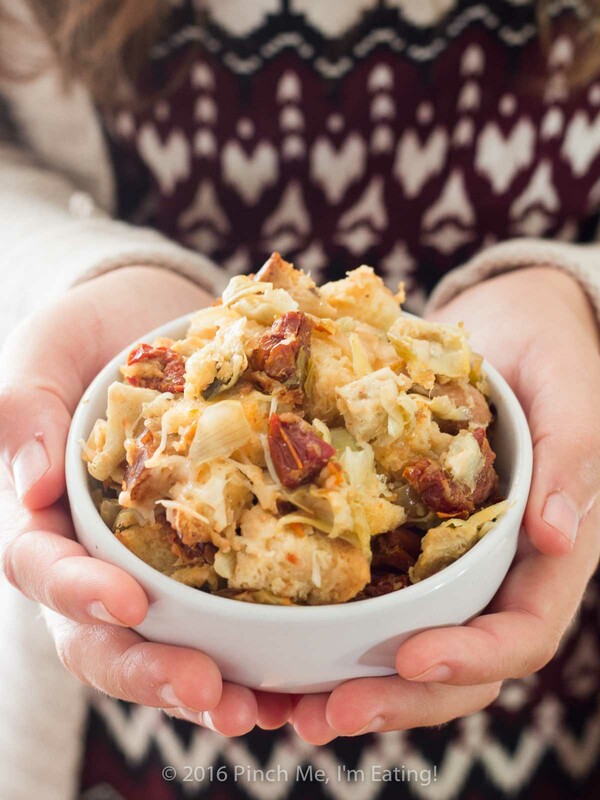 Combine bread crumbs with onion soup mix in one flat-bottomed bowl or tray. Put mayonnaise in another. 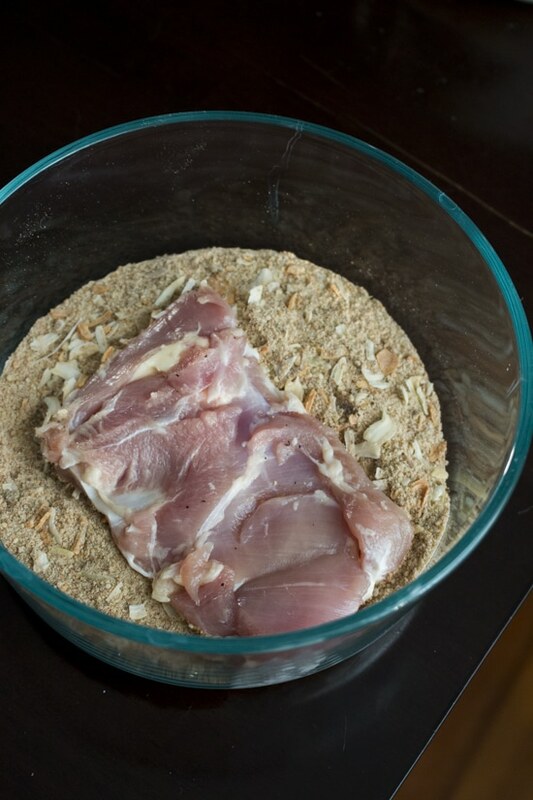 Dredge the smooth side of each piece of chicken in mayo, then in the bread crumb mixture. With the uncoated side of the chicken facing up, place a ham and cheese roll in the center short-ways. Fold each end of the chicken over the ham roll and place in a 9x9 baking pan with the open seam facing down. You will not need toothpicks to secure. Bake for 45 minutes. Enjoy with a glass of white wine! Chicken can be prepared a day ahead and baked the next day. Remove the pan of chicken from the refrigerator while oven preheats and then bake as directed. Haha thanks! Don’t lick the screen! I don’t think it would taste as good. ???? This looks great, Caroline! 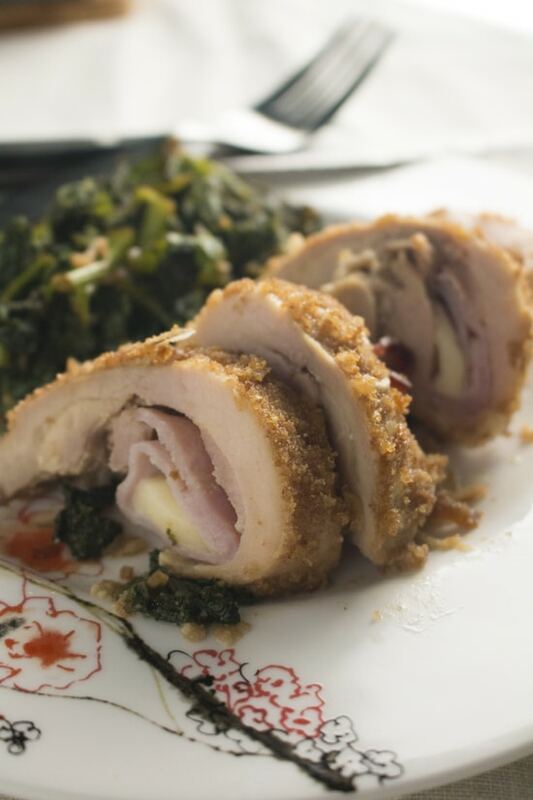 My mother used to make chicken (and veal) cordon blue when I was young. I don’t think I have had it but once since she died in 1988 – I made it when I created her cookbook. It is sooooo good. I love your tip about rolling the cheese int eh ham burrito style – that is brilliant! I am with you – is football the round ball or the pointy ball? Of course, I love the commercials (but wait to see them on YouTube) and the food is great – but that silly game? No, thanks! I will be watching Downton Abbey tonight while eating something decadent. I’m with you! I said “What can we watch while eating superbowl food?” So I’m making super bowl food (buffalo chicken egg rolls, and veggies and ranch dip) tonight and watching one of the old debates since we haven’t gotten to watch any yet! Haha. You’ve only had chicken cordon bleu once in nearly 30 years? Such a tragedy! Let me know if you decide to try it again! I love being able to make a yummy dinner with not being overwhelmed; thank you for such a good recipe!